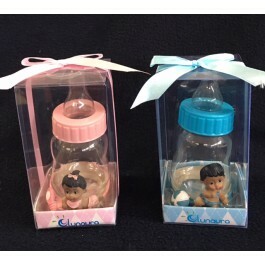 Fill your baby shower with FUN with these Baby Bottle Fillable Favors in your choice of pink or blue. They are sweetly unique and oh so cute! Fill them with our coordinating Pacifier Candy to complete the look. Plastic bottles measure 4 1/2" x 2 1/2“. Candy sold separately. The bottles are the cuties things I've purchased so far for my granddaughter's baby shower ... 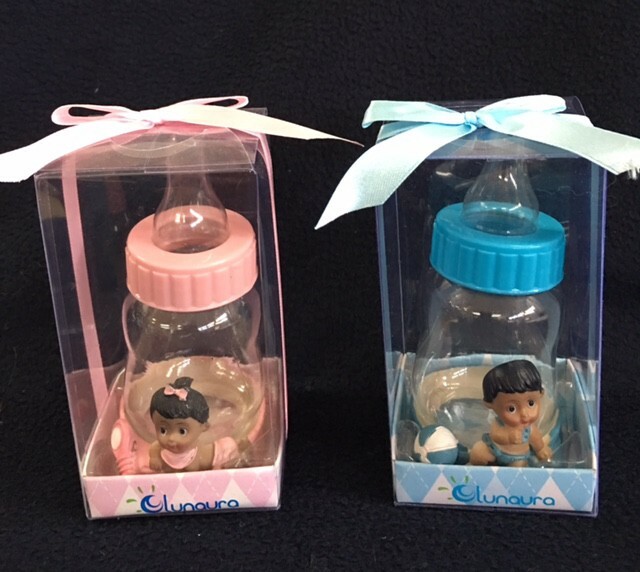 I had previously bought baby bottles for favors from another company and than I ran across your site and order the African American Baby bottles ... after receiving my purchase from your company, I was so pleased, that I wished I had purchased all of the bottles from you! Nice quality merchandise, I would definitely recommand your company to others.